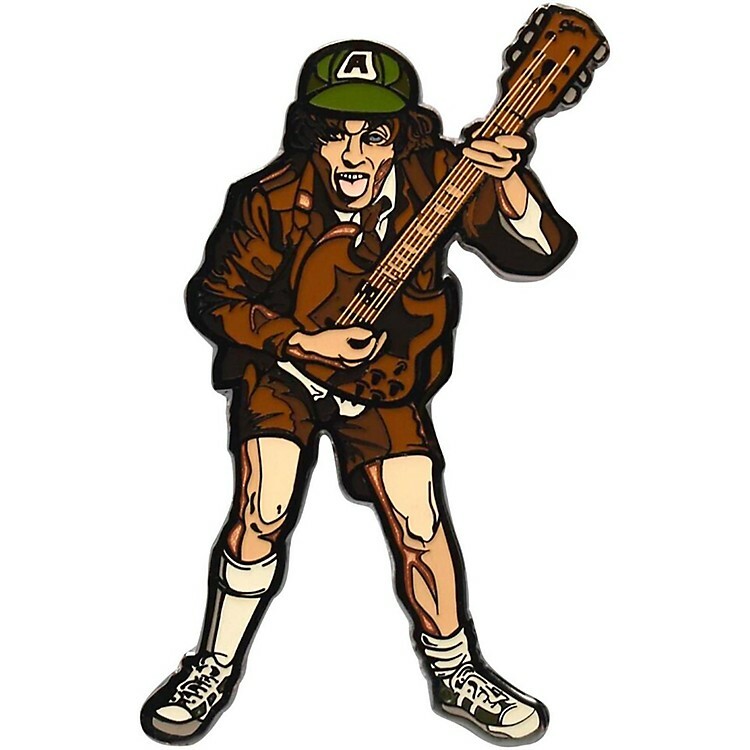 AC/DC High Voltage Angus Young enamel pin. The 3-inch tall FiGPiN features Angus Young as seen on the "High Voltage" album cover in his brown outfit, green hat, guitar, and is flashing a wide mouth smile. The hard enamel 3-inch FiGPiN is amazingly detailed and is able to stand up with the signature FiGPiN rubber backer stand. The pin comes displayed in front of a collectible High Voltage album art backer card and is fully capsulated in the ultra collectible FiGPiN clear protector case. Celebrate over 40 years of AC/DC's first internationally released studio album, "High Voltage" with the iconic Angus Young on a cool enamel pin.